Da Capo Lifelong Books, 9780738220086, 320pp. "We have a long way to go to make John Holt's dream available to all children. But his books make it possible and easier for many of us to join him in the journey." 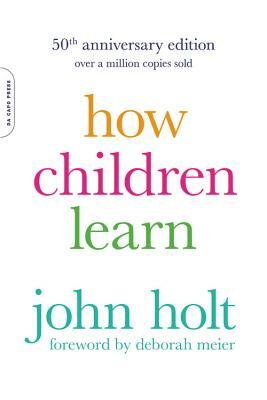 In this enduring classic, rich with deep, original insight into the nature of early learning, John Holt was the first to make clear that, for small children, "learning is as natural as breathing." In his delightful book he observes how children actually learn to talk, to read, to count, and to reason, and how, as adults, we can best encourage these natural abilities in our children. Deborah Meier (foreword), is a renowned educator, MacArthur Fellow, and the founder of the small schools movement. She is on the faculty of the Steinhardt school of education at New York University.